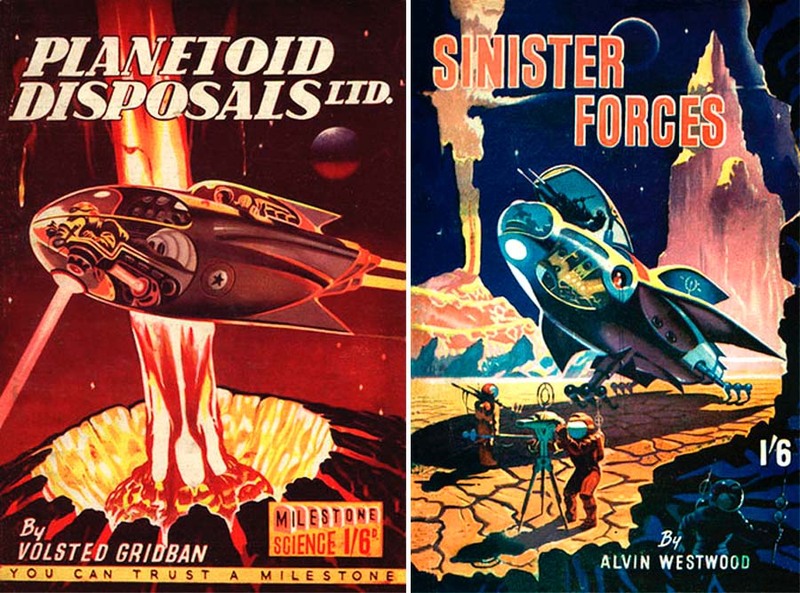 This Art Truly Makes "The Ether Vibrate"
"Planetoid Disposals, Inc." by Volsted Gridban! 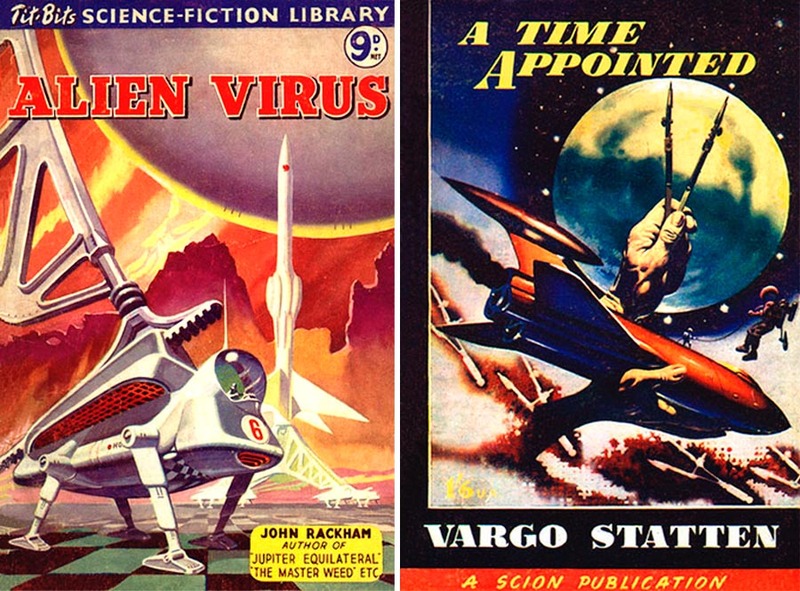 If you are thinking that Volsted Gridban must be a pen name, you are correct. 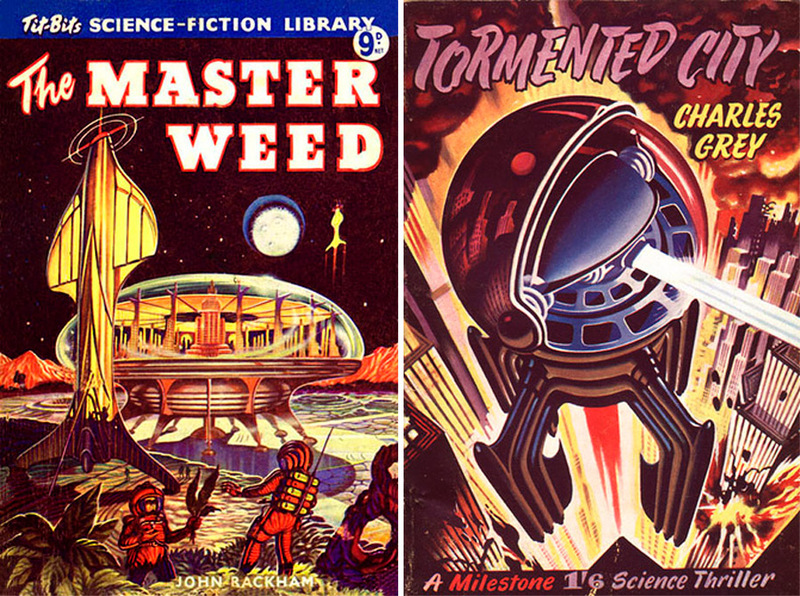 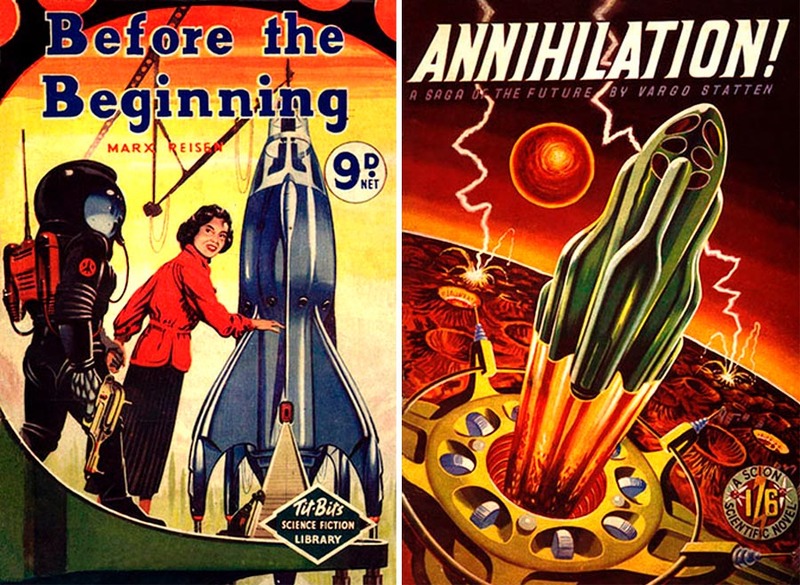 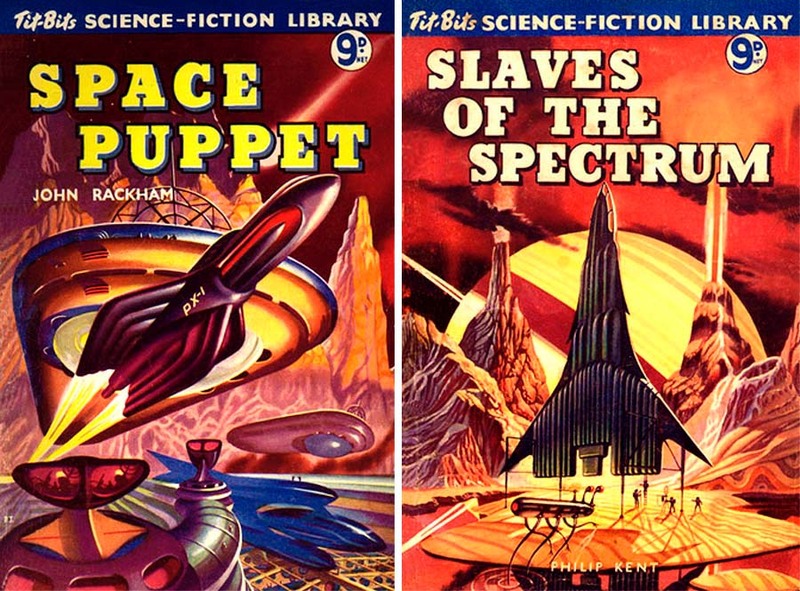 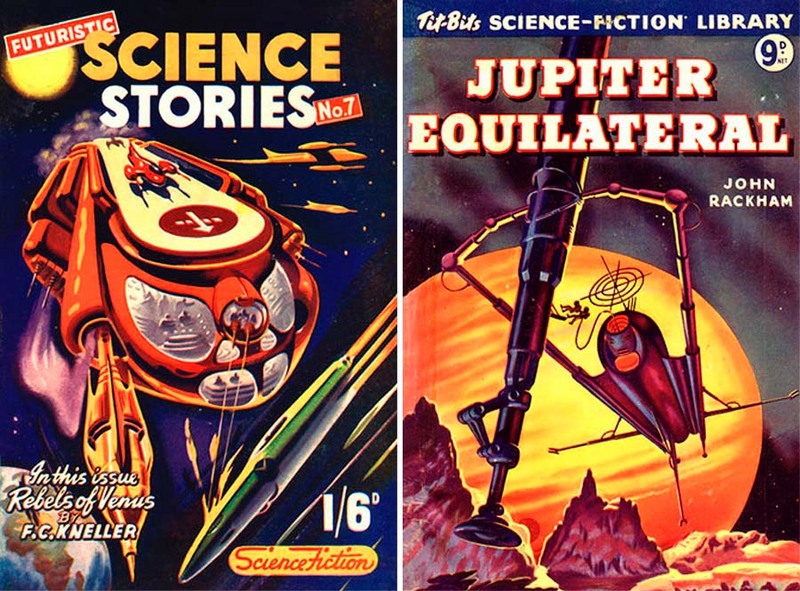 This is one of dozens of pen names of John Russel Fearn, sometimes a "house name" (also accomodating stories by E. C. Tubb) - see our huge list of science fiction pen names here. 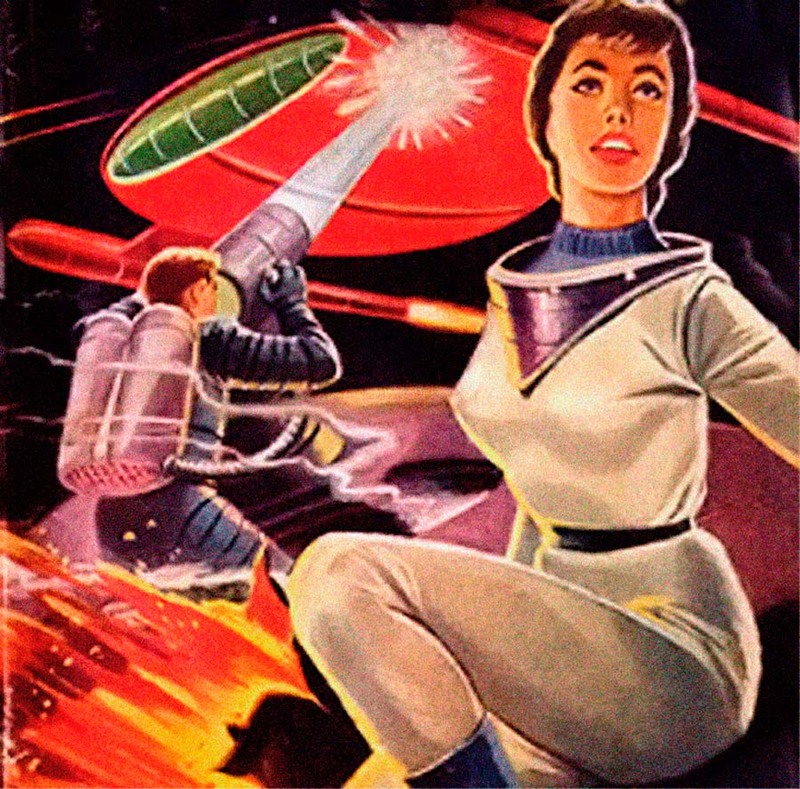 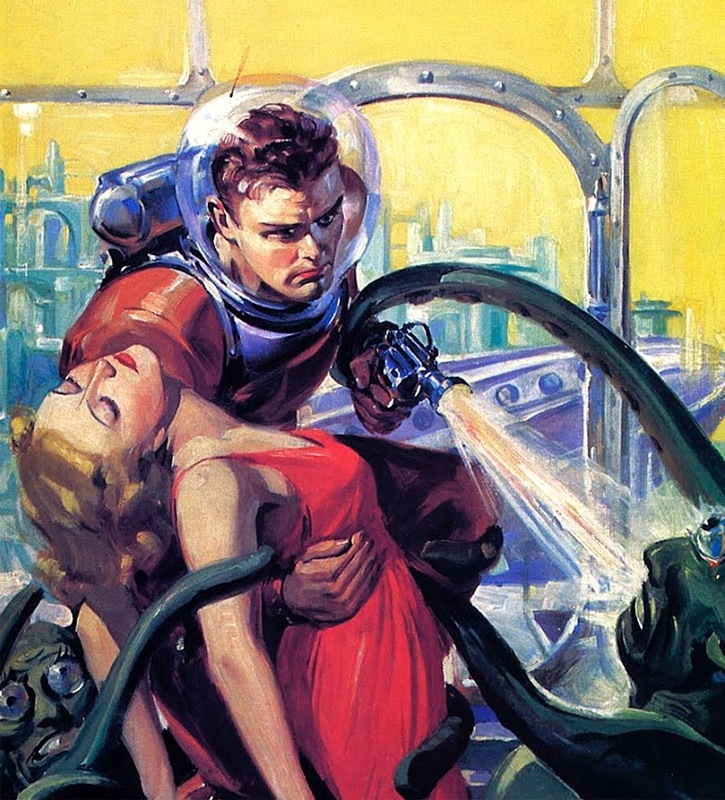 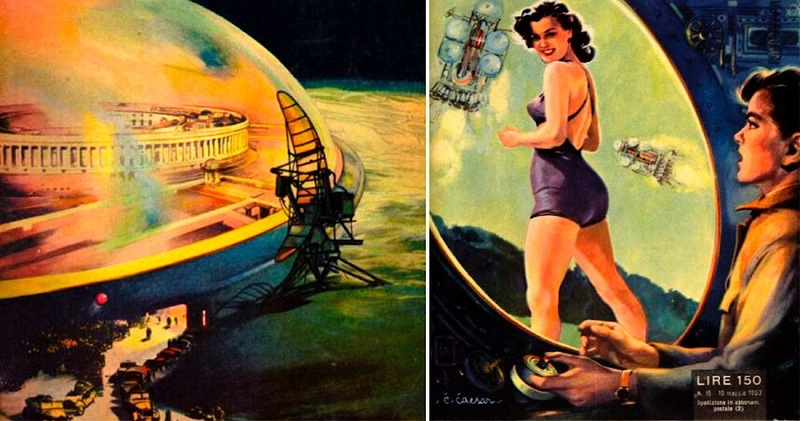 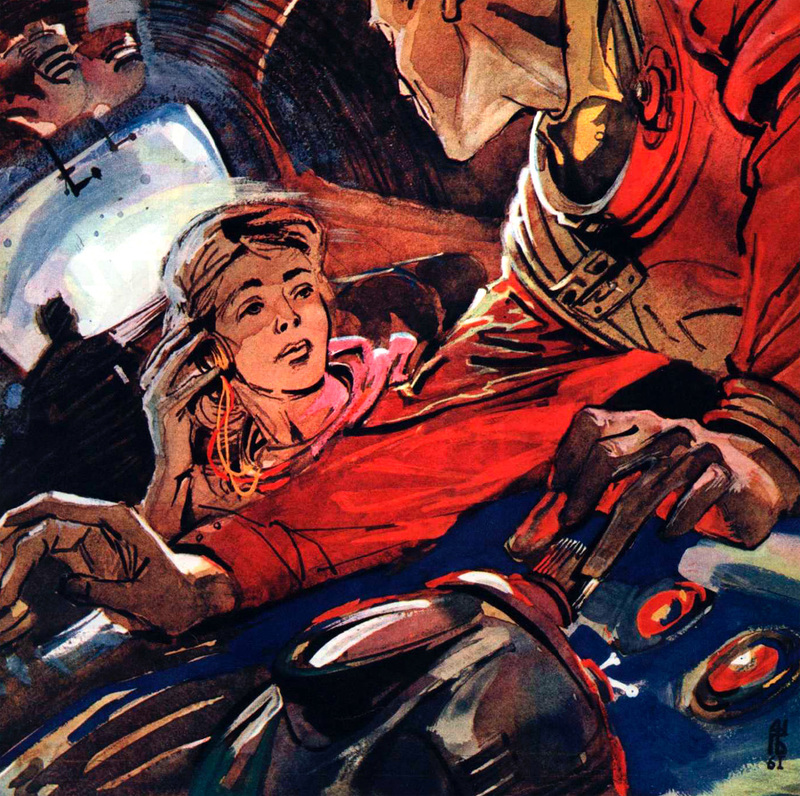 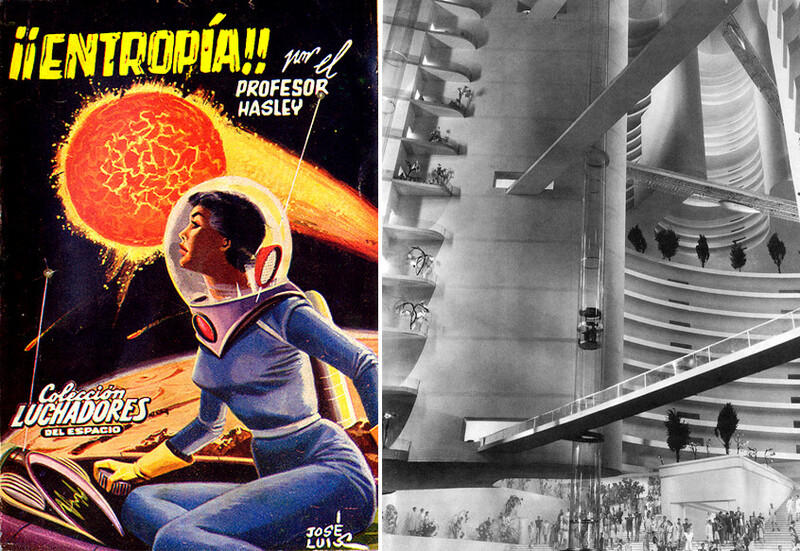 A little mistake, on the italian pulp magazines part there are covers of a famous spanish space-opera pulp magazine: Luchadores del Espacio, just google "jose luis macias" (the cover artist) with "luchadores del espacio" and enjoy a plenty of damsels in distress. http://www.djouls.com/techno/images/Omfo-We_Are_The_Shepherds_b.jpg this is one of the images above edited for an album cover. 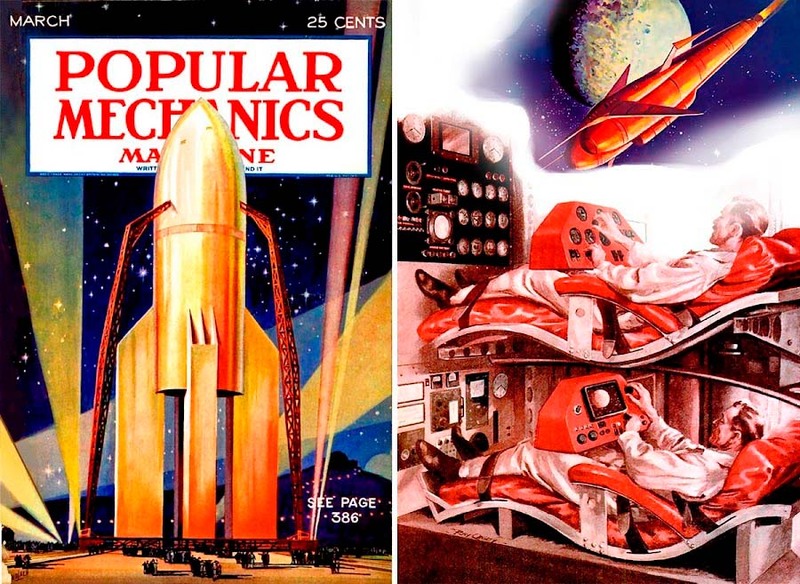 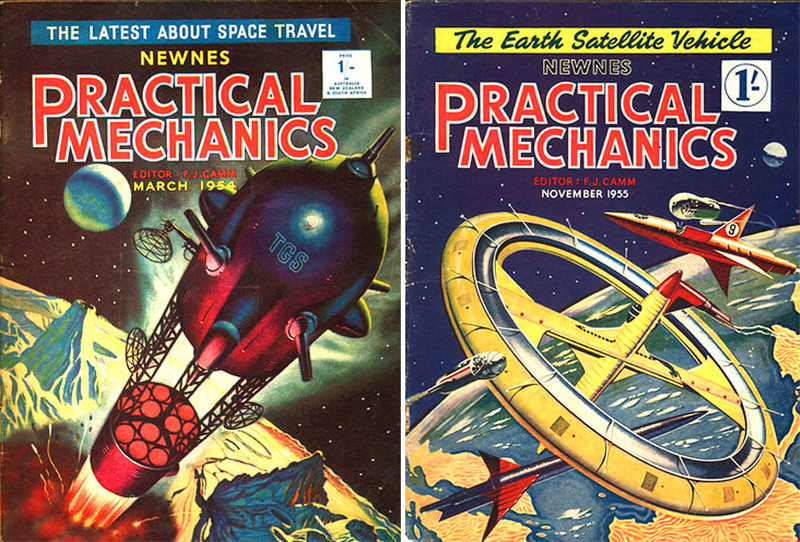 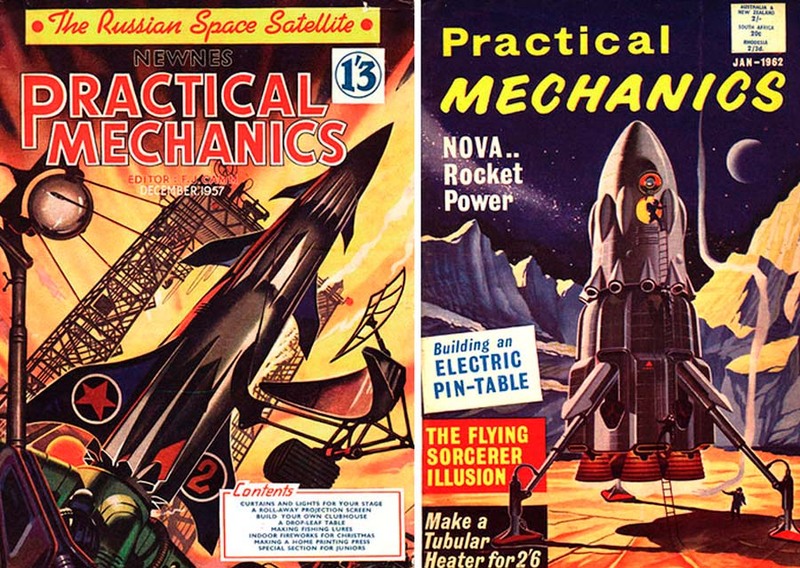 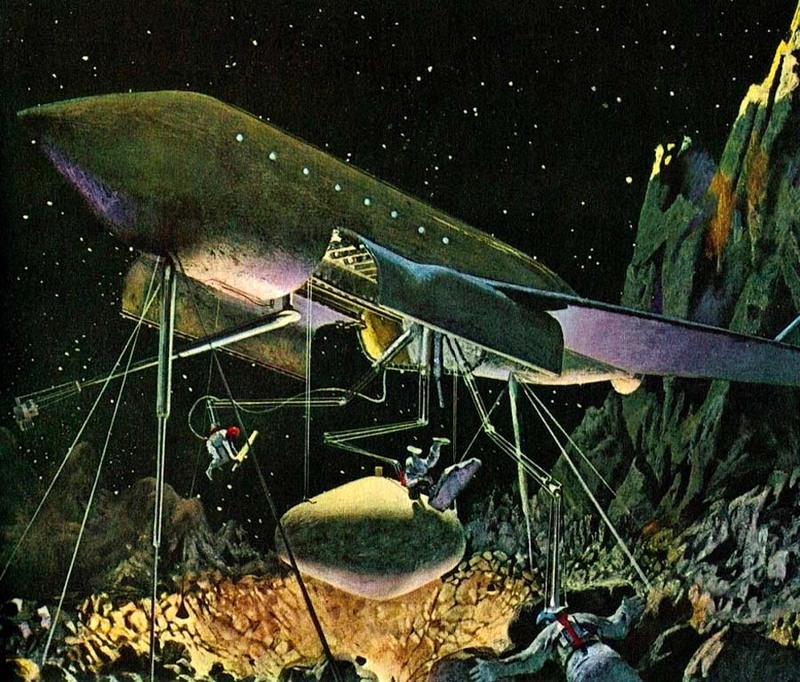 The _Popular Mechanics_ cover on the movie _Destination Moon_ uses the rocket from the German pre-War movie _Frau im Mond_. 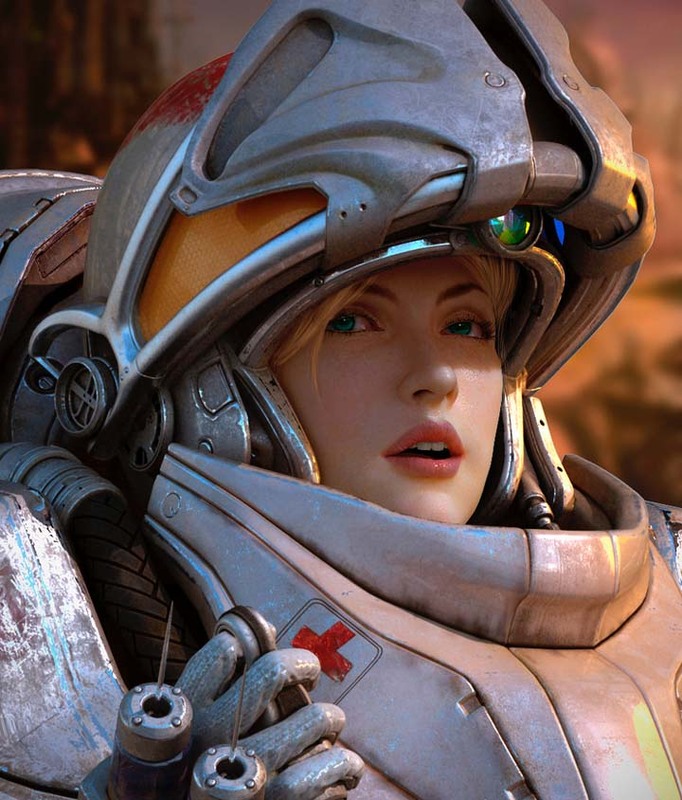 The guy in the "Operation Future" image seems to be talking into a microphone which he is holding in his hand, as if sound could propagate in vacuum. 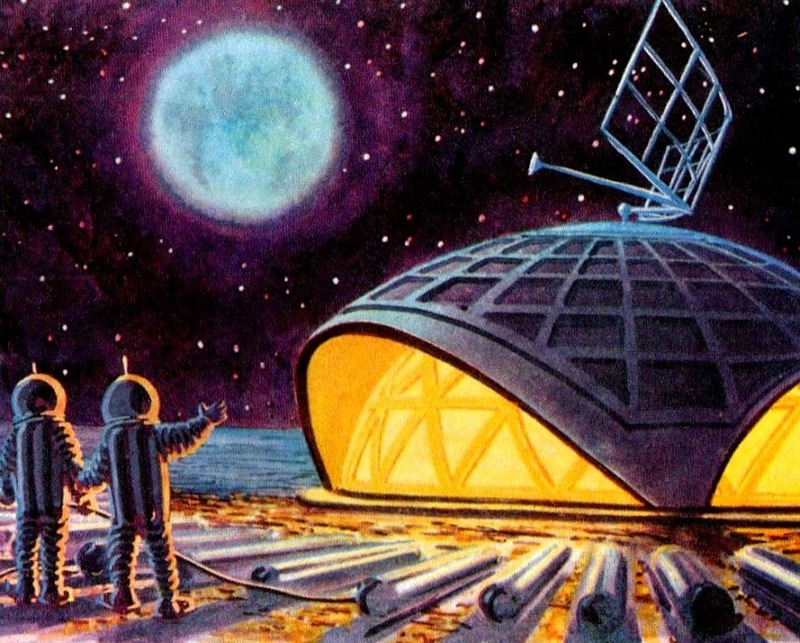 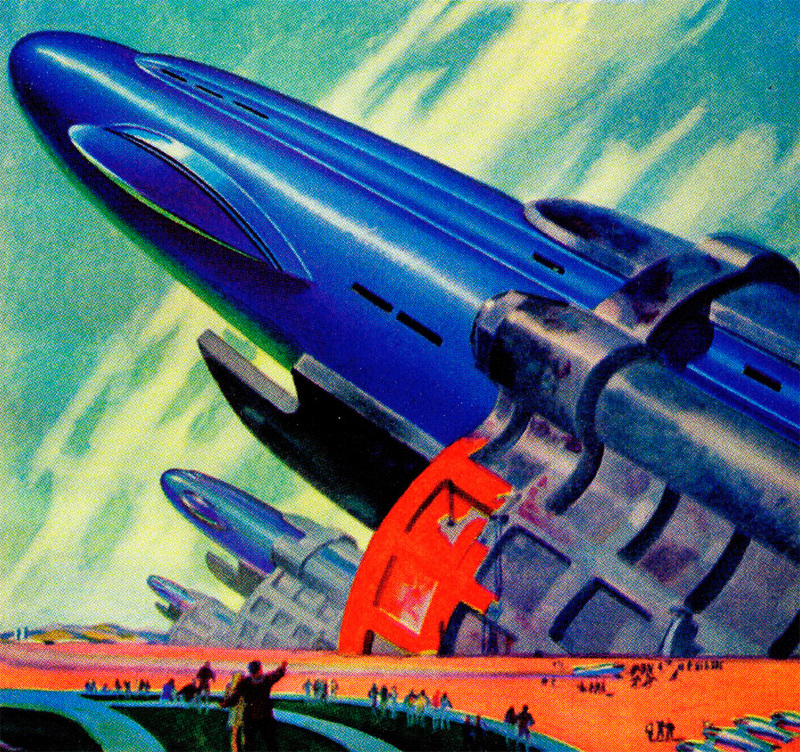 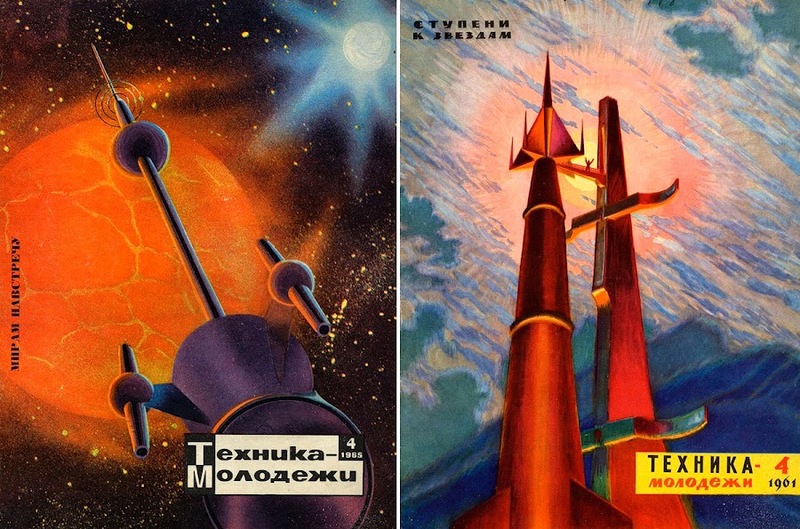 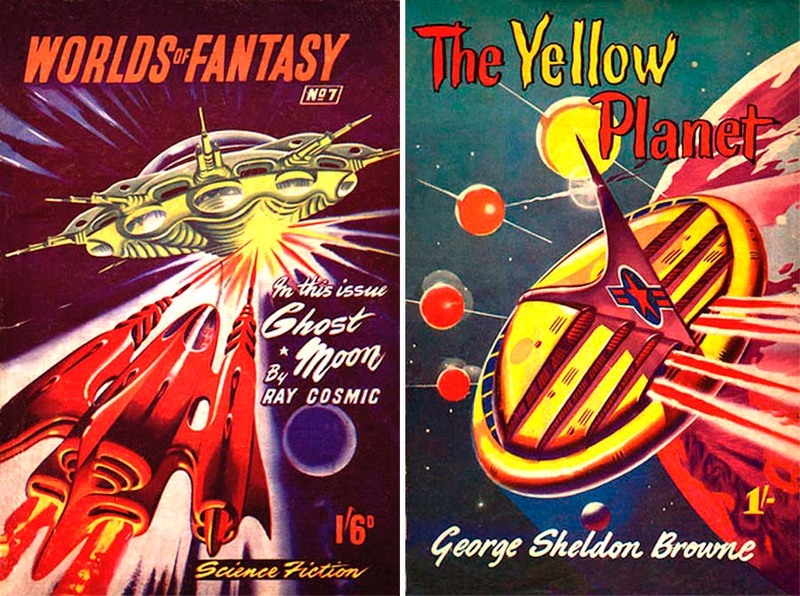 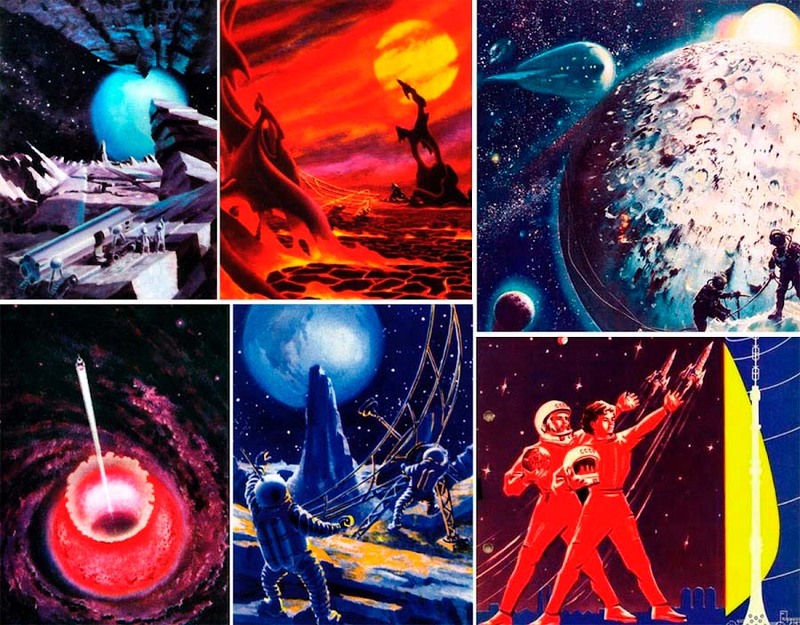 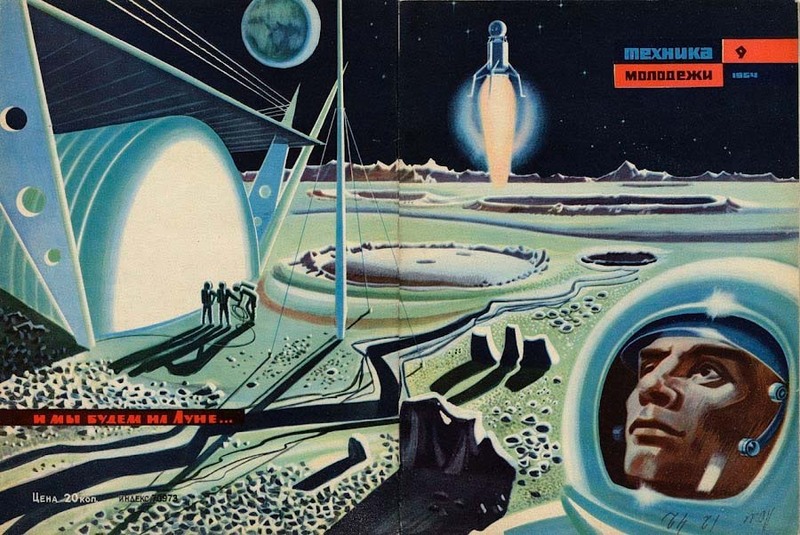 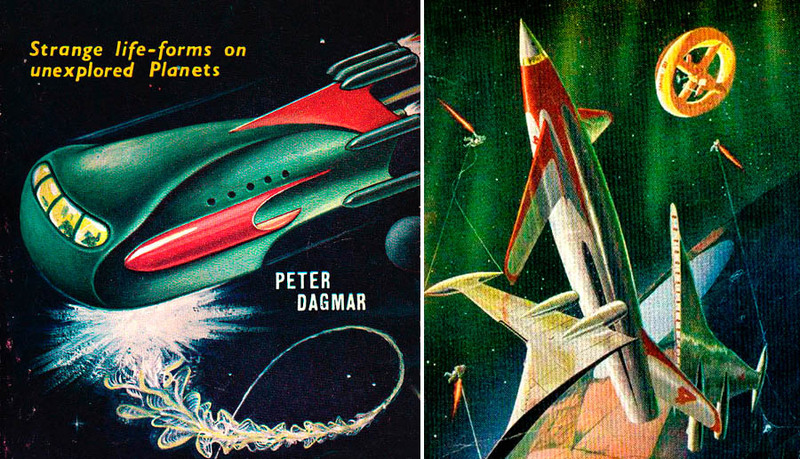 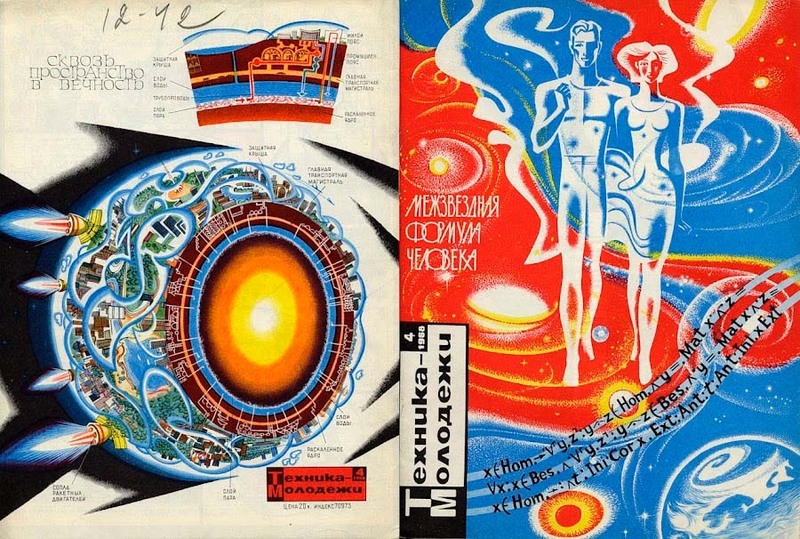 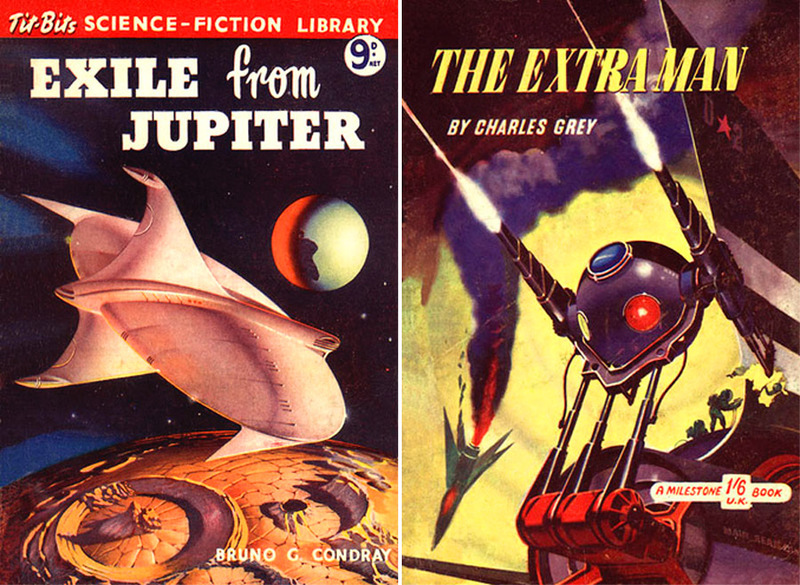 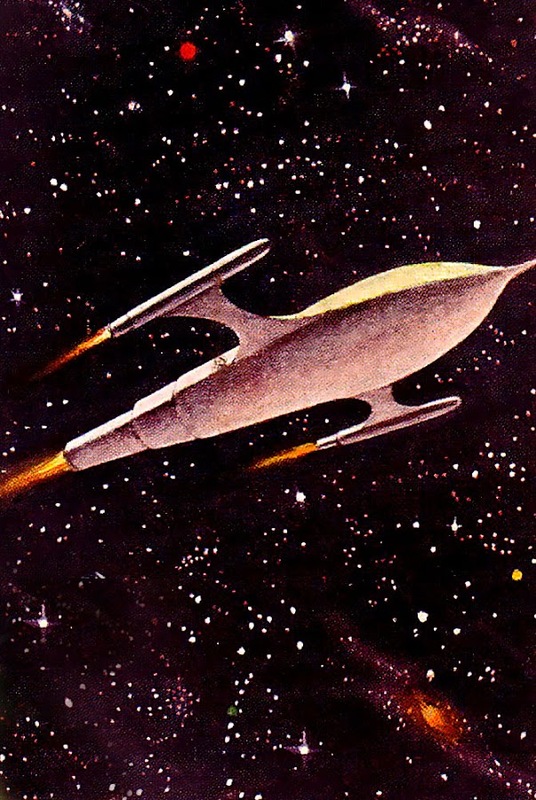 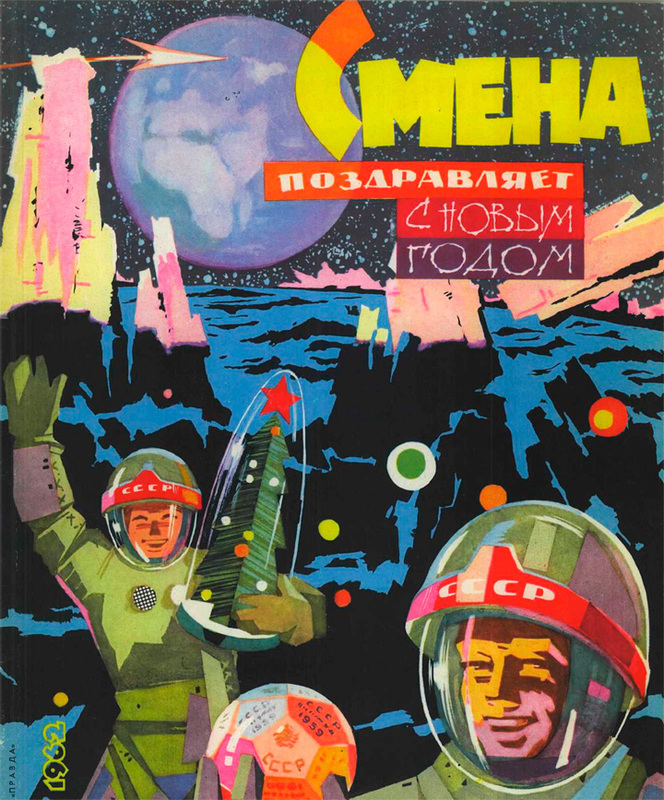 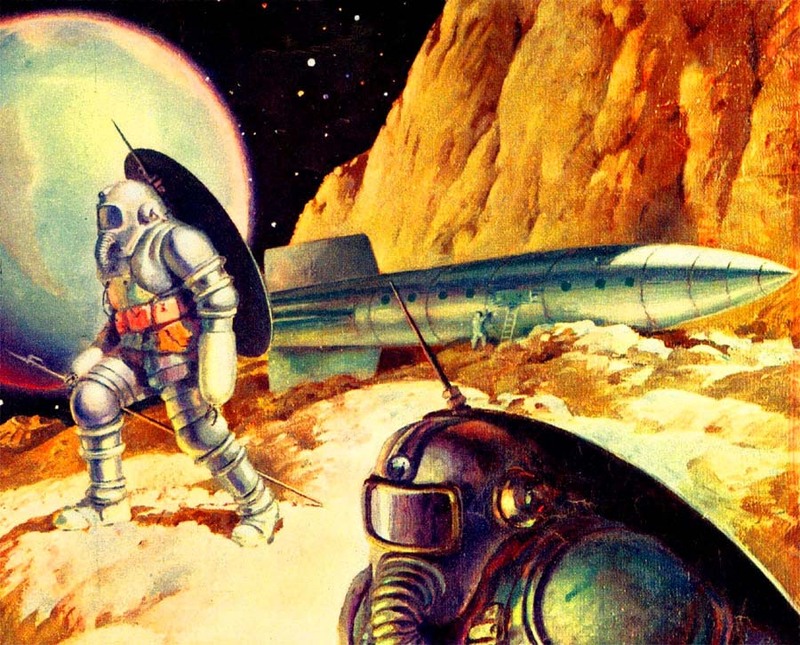 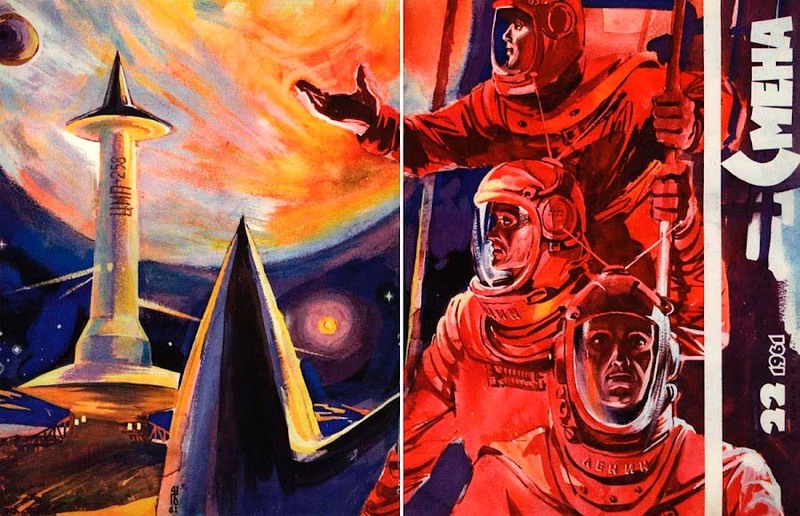 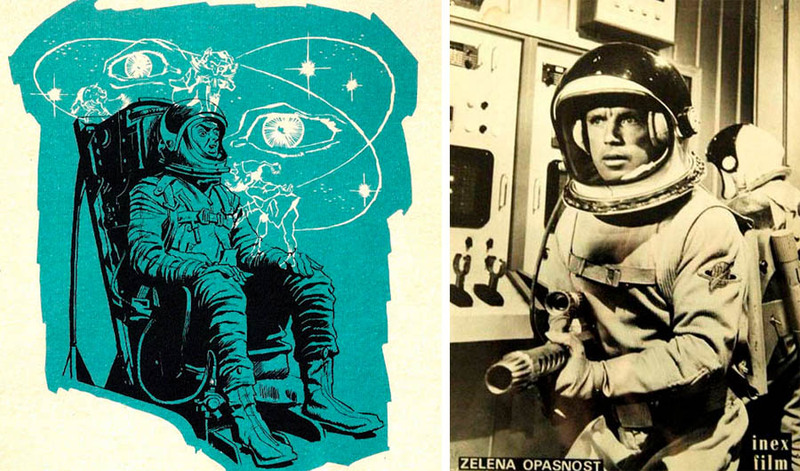 vintage spacepunk images are so much more interesting than the images of space we use now. 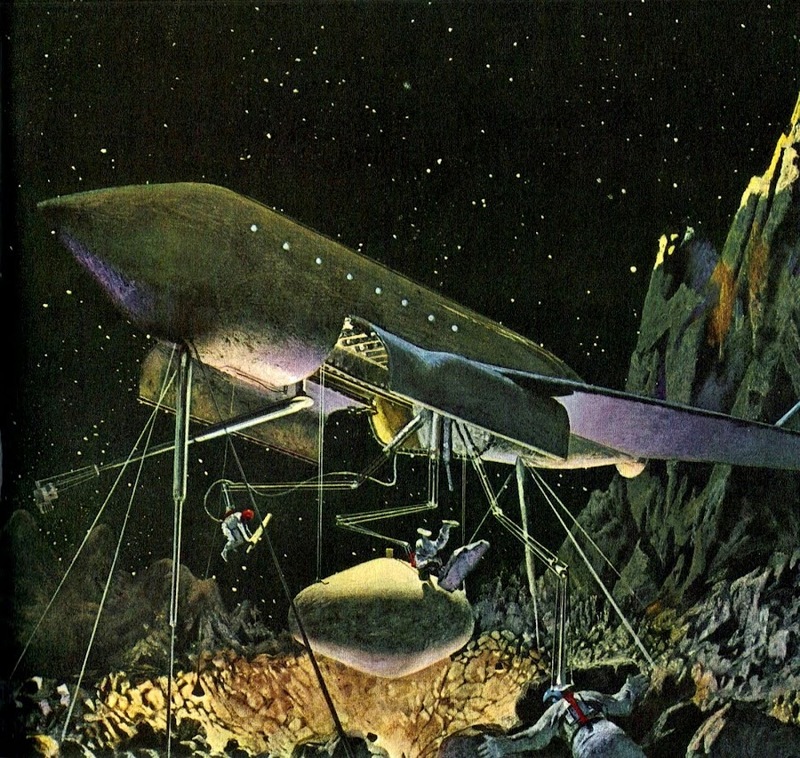 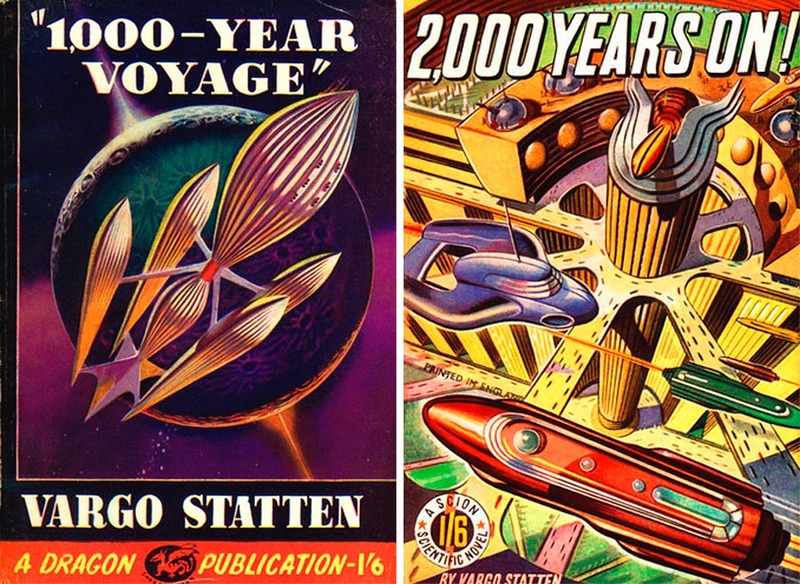 The "1.000 Year Voyage" rocket looks like the inspiration for Phillipe Starck's "Juicy Salif" orange juicer for Alessi. 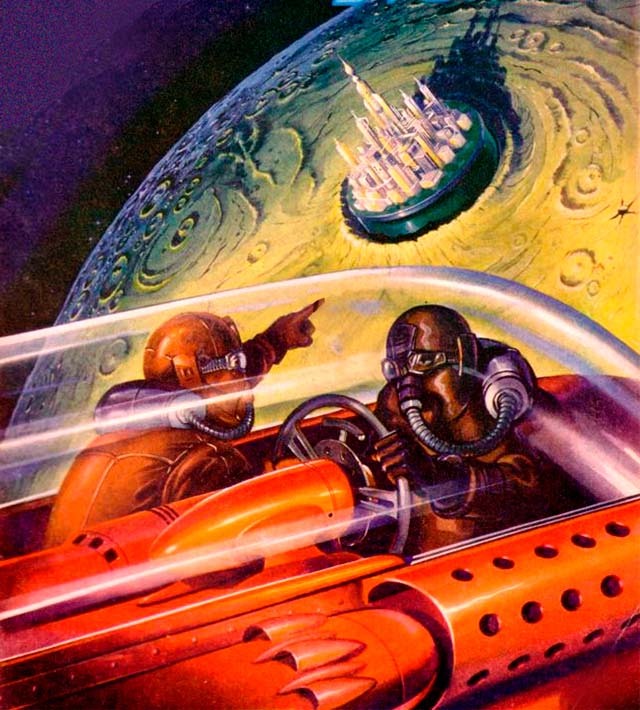 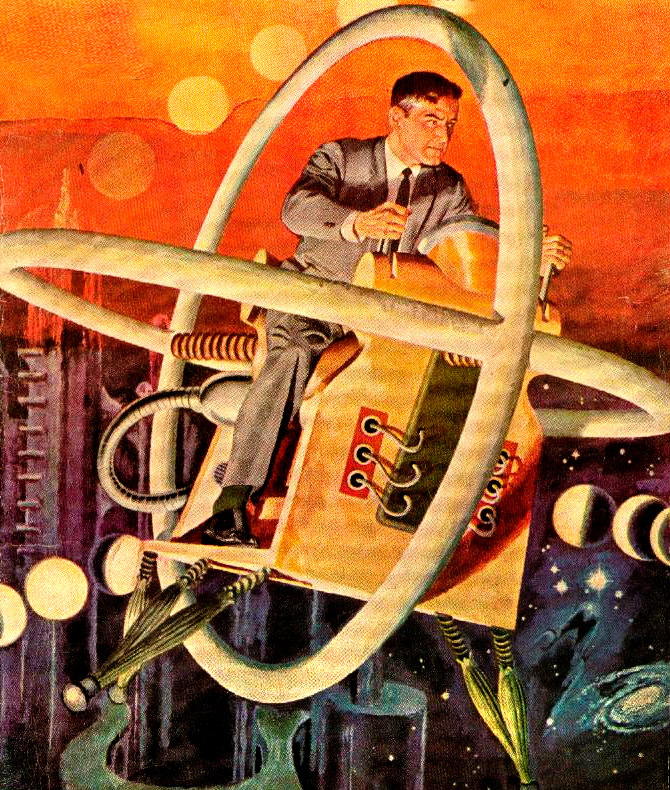 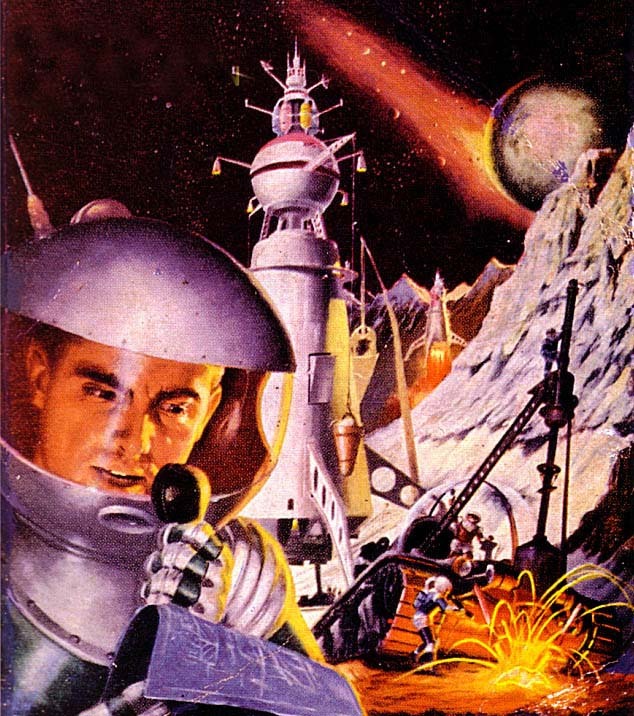 The 1956 Classic Illustrated TIME MACHINE cover is by George Wilson.